Leawood, Kansas (January 26, 2017) – Whether you missed the movies nominated for Best Picture at the Academy Awards, or you need a refresh before the big night, AMC Theatres (NYSE:AMC) has you covered for the 11th straight year with the AMC Best Picture Showcase. 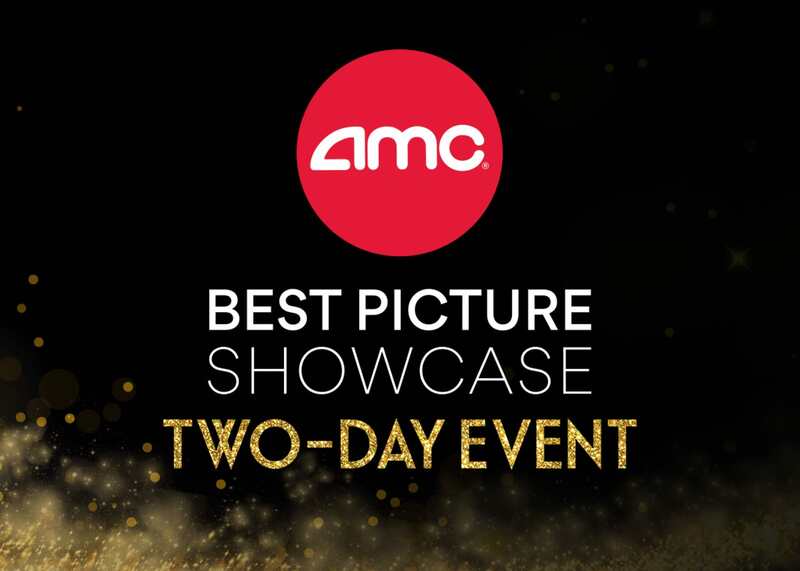 In what’s become an annual Oscars tradition for movie-lovers around the country, the AMC Best Picture Showcase takes place over the course of two Saturdays – Feb. 18 and Feb. 25. Also returning on Feb. 25 at select locations is AMC’s Best Picture Showcase Marathon, featuring all nine nominated movies in one sitting. The long-running AMC Best Picture Showcase has attracted a loyal fan base, which continues to grow year after year, with some guests avoiding potential nominees completely so they can see them all at once to evaluate what movie will take home the biggest prize of the night. Participating locations can be found at amctheatres.com/bps. Beginning Friday, Jan. 27, tickets are on sale online at amctheatres.com/bps and at the box offices of participating AMC locations. The two-day pass is available only at the box office of participating theatres. Follow the Best Picture Oscar buzz on Twitter by using the hashtag #amcbps or on Facebook at facebook.com/amctheatres. The Academy Awards will be presented on Sunday, Feb. 26, at the Dolby Theatre at the Hollywood & Highland Center and televised live on ABC. AMC is the largest movie exhibition company in the U.S., in Europe and throughout the world with approximately 900 theatres and more than 10,000 screens across the globe, prior to factoring in the Nordic acquisition. AMC has propelled innovation in the exhibition industry by: deploying more plush power-recliner seats; delivering enhanced food and beverage choices; generating greater guest engagement through its loyalty program, web site and smart phone apps; offering premium large format experiences and playing a wide variety of content including the latest Hollywood releases and independent programming. AMC operates among the most productive theatres in the United States’ top markets, having the #1 or #2 market share positions in 22 of the 25 largest metropolitan areas of the United States, including the top three markets (NY, LA, Chicago). Through its Odeon subsidiary, and again prior to the Nordic acquisition, AMC operates in seven European countries and is the # 1 theatre chain in the UK & Ireland, Italy and Spain.